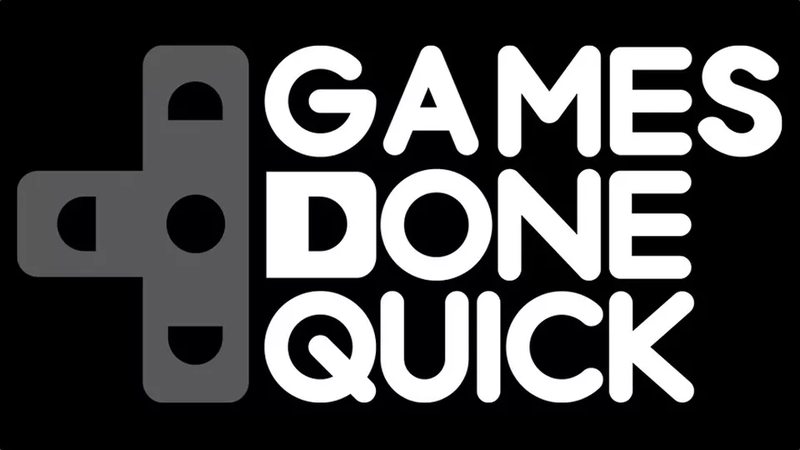 Summer is upon us, and that can mean only one thing: it’s Summer Games Done Quick time! The week-long charity speedrun marathon is in full swing, and if you’ve got any free time at all, I highly recommend tuning in to see the best runners break game after game in the most extraordinary ways. While the runners often provide funny and insightful commentary, the complexity of what they are doing isn’t always apparent. I thought I’d take a closer look at some of the more common techniques runners use to bend games to their will. 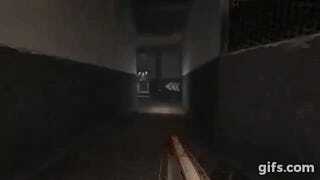 A simple technique born out of older FPSs like DOOM and Goldeneye 007, it involves moving diagonally instead of straight forward to achieve greater speed. The trick works when games add the speed values of both forward and lateral momentum together, resulting in faster movement than either alone. Speed-strafing can often be augmented by jumping, too, allowing runners to reach speeds crucial to pull off other, more advanced tricks. Another fairly straightforward concept, getting out of bounds is typically much tougher to pull off than speed-strafing. Depending on the game, this might involve blowing up a pile of grenades to launch yourself to otherwise unreachable areas, or it might be as mundane as jumping into a wall at a particular angle. Either way, once out of bounds, a runner can often walk straight to the end of a level without defeating the enemies or overcoming the obstacles along the way. Sometimes they can even skip directly to the final boss, finishing a many-hour game in mere minutes. A more specific version of the out-of-bounds trick, the loading zone warp involves fooling a game into thinking you’re somewhere you’re not and teleporting you there to compensate. This technique exploits the fact that game environments are typically split up into discrete chunks loaded in based on the player’s location, and if a runner can fake their location, they can effectively teleport wherever they want. 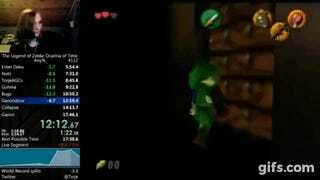 The prime example is The Legend of Zelda: Ocarina of Time, in which runners can walk through a door in the first dungeon and exit into Ganon’s Castle just before the final battle. For speedrunners, any time spent watching instead of playing is time wasted. Cutscenes and slow animations are the enemy, and when they’re unskippable? Well that’s just evil. Fortunately, there are ways of getting around many of these run-killers. In Dark Souls, for example, interacting with objects like doors and levers locks the player into a lengthy - by speedrunning standards - and normally unbreakable animation. But if the player lets an enemy stagger them at the exact time they pull the switch or open the door, the stagger animation will override the interaction and the runner will be able to recover quicker. On the cinematic side of things, games like Halo that include mandatory cutscenes have led to runners blowing themselves up and exploiting checkpoint systems to bypass the unnecessary downtime. The trick here is that the game expects certain conditions to be met before triggering a cutscene - in Halo’s case, Master Chief being both inside a particular trigger zone and not engaged in combat. By voiding one or both of those conditions, runners can skip the cutscenes altogether. Most games feature some sort of critical path, a series of events meant to be completed in a specific order. Sequence breaking, as the name suggests, involves disrupting that order. 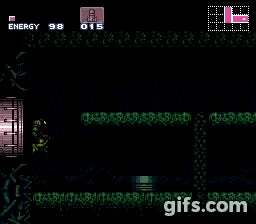 In Super Metroid, for example, by exploiting the Mockball glitch that allows Samus to move at max speed while in morph-ball form, runners can unlock the Super Missiles and the Ice Beam before they’re supposed to and skip a considerable chunk of the early game. Even when runners have to return to the critical path after sequence breaking, the benefit of overpowered items and upgrades allows them to race through early stages far faster than normal. RNG, or Random Number Generator, refers to the elements in a game dictated by the roll of the virtual dice. Things like the stats of Pokemon you find in wild grass and the damage your sword does in Diablo 3 vary based on random numbers - well, pseudo-random numbers, to be precise. Computers generate their ‘random’ numbers from a seed, and if you can change that seed, you can control the outcome. Pokemon players have discovered numerous ways of doing this, from changing the time and date settings on their system, to walking a certain number of steps before entering wild grass. This allows them to spawn and catch the rarest Pokemon, every time. Similar strategies exist for games like Final Fantasy and Earthbound, and are especially useful for speedrunning of the tool-assisted variety. There are countless more techniques involved in speedrunning, and if you’re even the least bit interested, watching SGDQ is a great way to learn more. The runners may make it look easy, but that’s all part of their skill.